Browse similar Womens Jackets by The North Face, clearance The North Face Womens Jackets, or click here for all Women's 3-in-1 Jackets. The perfect blend of performance, style and versatility, the Garner Triclimate Jacket from the North Face has everything you need to stay comfortable all winter long. 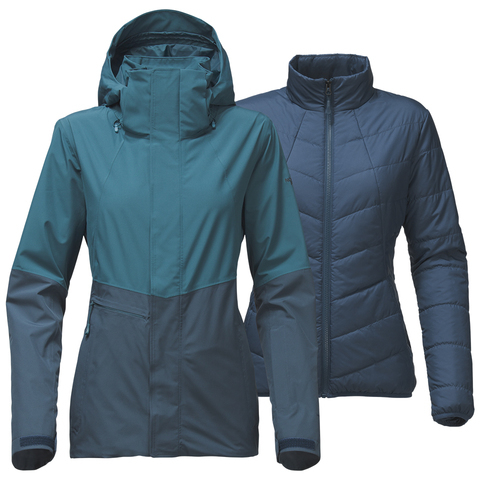 This cute jacket features a fully waterproof DryVent™ 2 layer construction with taped seams to keep you protected from the elements with a removable Heatseeker™ component jacket for extra warmth on those colder days.